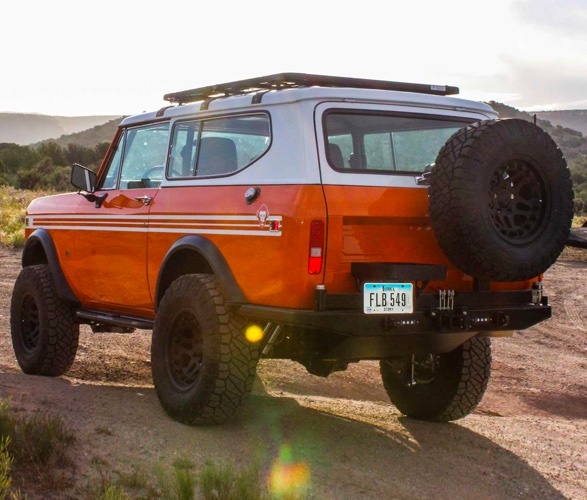 New Legend has a reputation for its over-the-top restomods, especially International Scout builds. 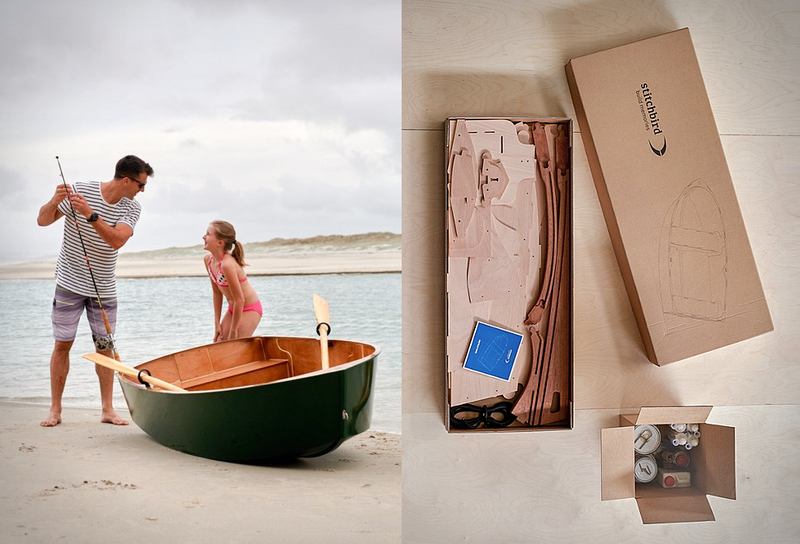 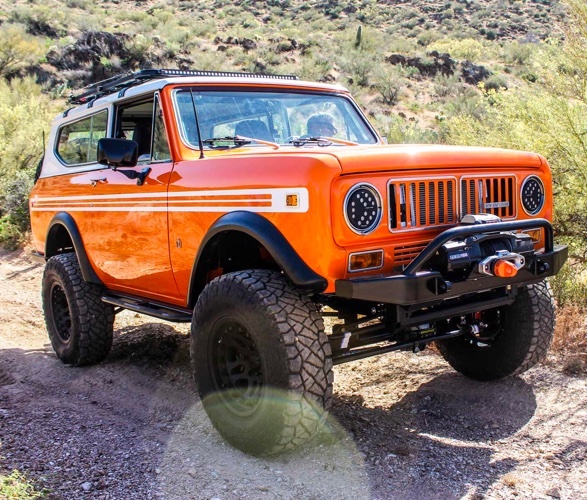 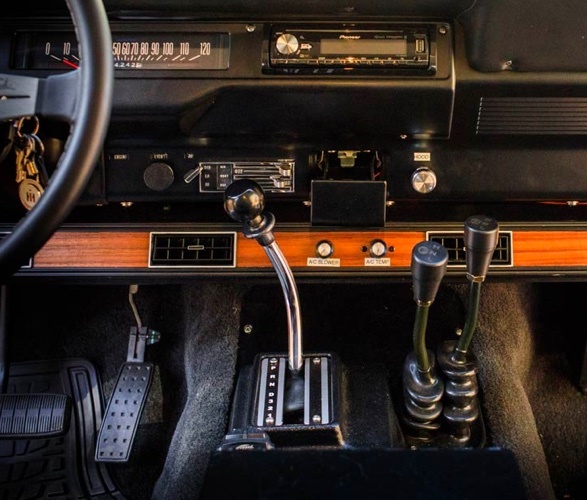 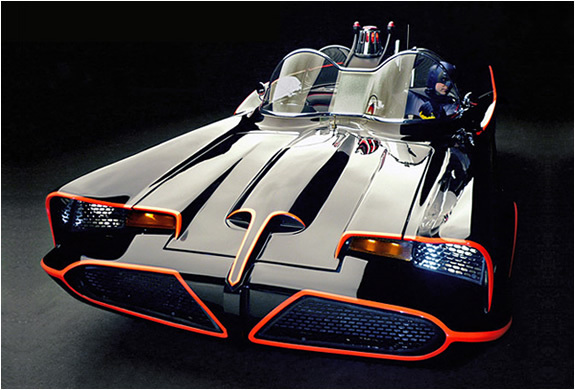 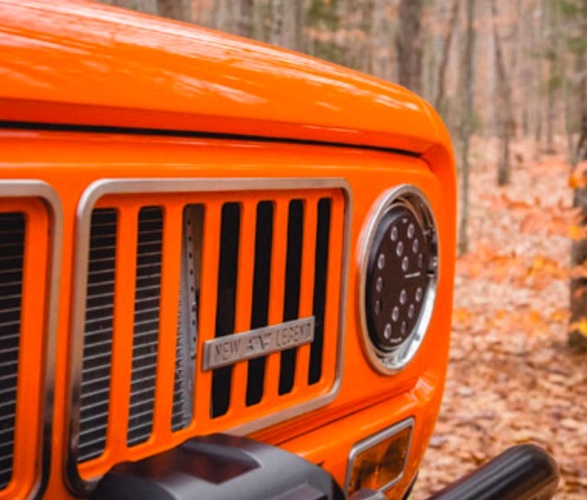 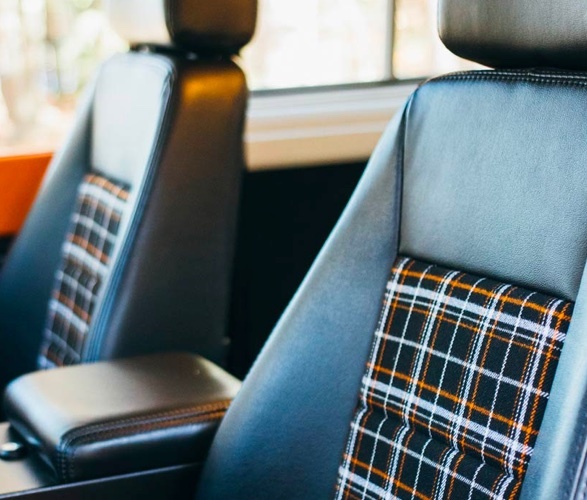 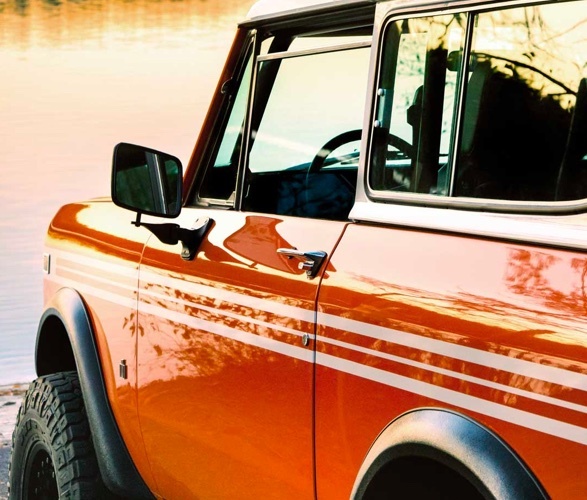 Founded by Sean Barber, it is quite possibly the best Scout "retro-mod" shop in the world, they bring the iconic American SUV into the 21st century without compromising its old world charm. 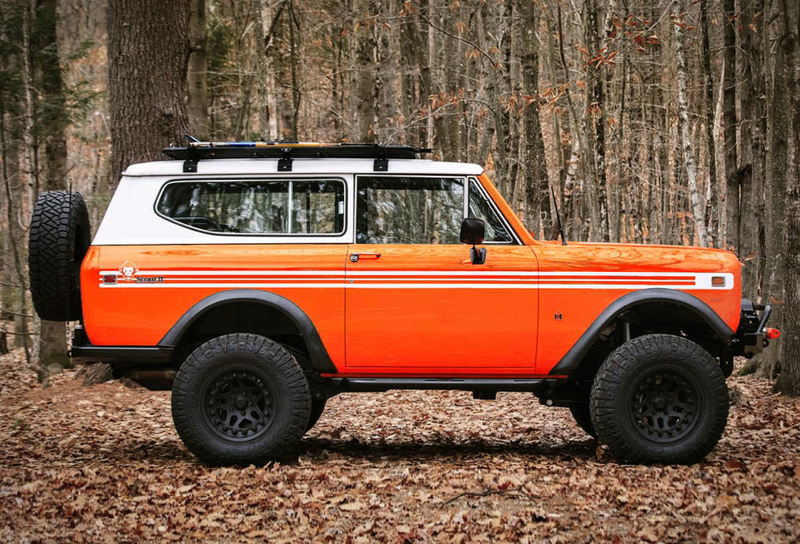 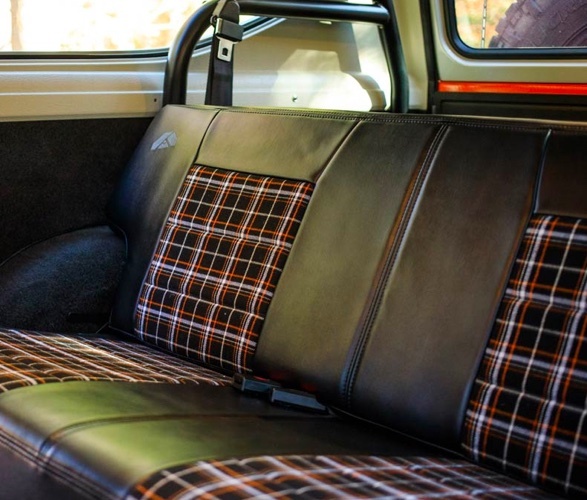 The latest masterpiece to roll out of their garage is this stunning Scout fully restored, repainted in the original Omaha Orange, and paired with the russet plaid interior for a retro but contemporary look. 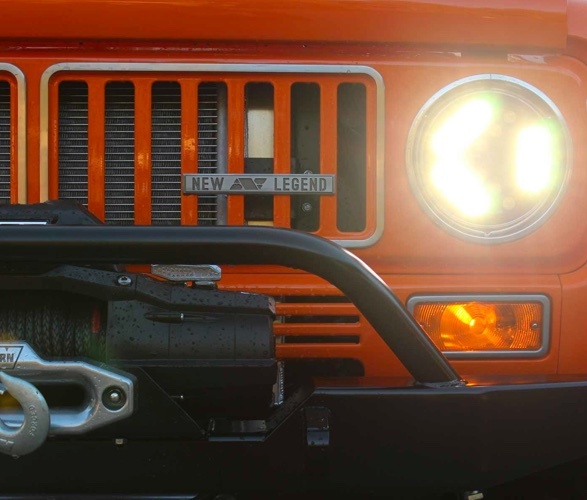 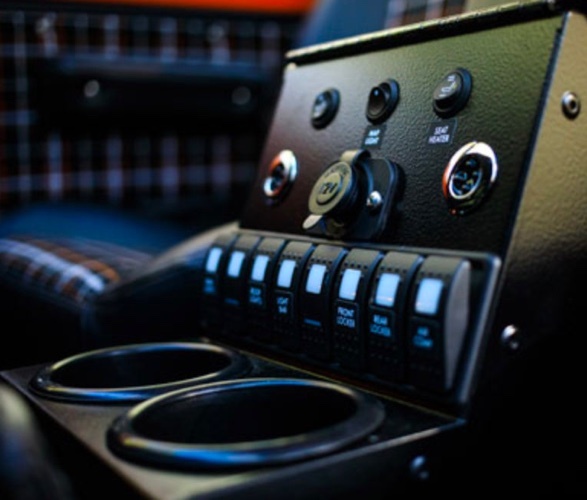 In classic New Legend style, they upgraded it with a 460hp LT-1 6.2 liter engine, Dynatrac Axles, ARB air lockers, Fox racing adjustable shocks, and 34" Ridge Grapplers, making this Scout ready for any adventure, on or off road.